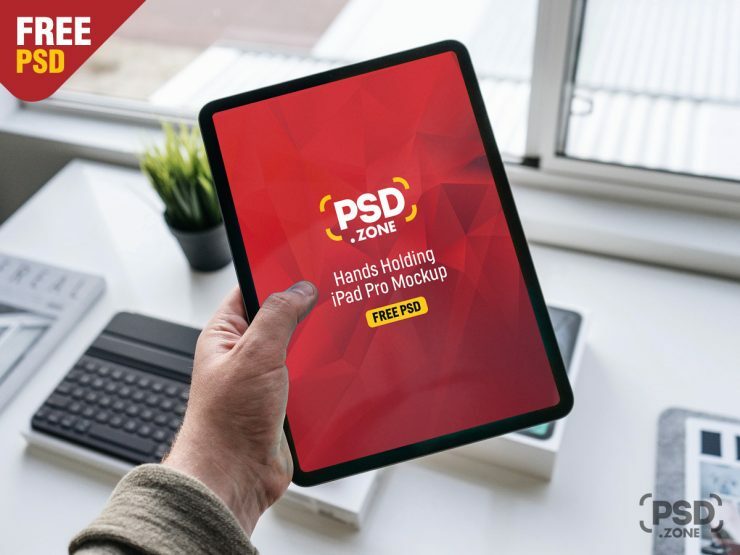 Download Hand Holding New iPad Pro Mockup For Free. Here is Hand Holding New iPad Pro Mockup. This Hand Holding New iPad Pro Mockup is ready for showcase your design in a photorealistic environment. This iPad Pro Mockup is ideal for present your responsive website, app ui design, wallpaper and other. Extremely easy to place your designs using smart objects, just double-click, copy and paste your design and you are done.